El Presidente is back in Beta form for players who pre-ordered Tropico 6, the follow-up game that fans of the series have been waiting on for four years. This time around, we’re managing not just one island, but a whole archipelago chained together by boats and bridges, with the usual city-building challenges of keeping our economy in the black, fulfilling our citizens’ needs, and appeasing the factions and superpowers at play. 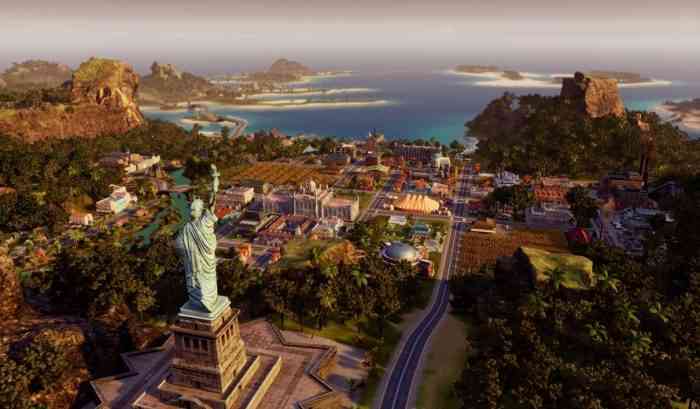 So far, the Beta is visually stunning and pretty well-executed, but unfortunately, I noticed very little change or improvement from Tropico 5 other than a few key features and the new “fully simulated” citizens. The graphics and environmental design of Tropico 6 are gorgeous. The island chains are more than just flat pieces of land ready to have buildings plopped on top; they have texture, obstacles and characteristics of their own. Different little islands on the same singular map have varying terrains, including lush jungles, volcanoes, and perfect white-sand beaches. The Beta shows off only a handful of playable maps out of a whole collection that will be released with the full game, but each one that I sampled was truly beautiful and impressive. 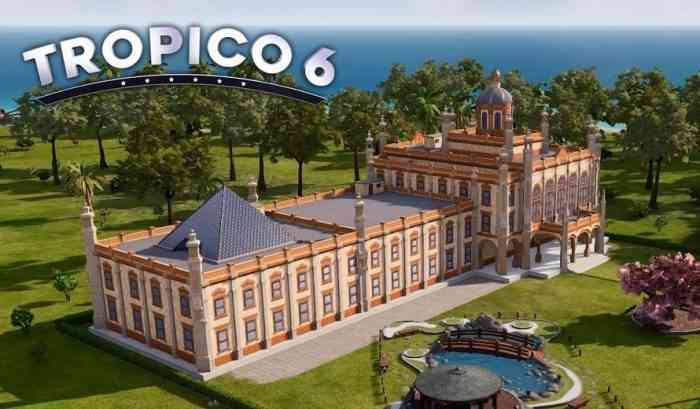 Aside from the visual improvements, the main differences so far between Tropico 6 and Tropico 5 include palace customization, piracy, and fully simulated citizens. For the first time, you can customize the layout of your palace and deck it out with colorful exteriors and decorations — a feature that makes little difference, but at least provides a fun little moment of personalization. Pirates are now a key aspect of Tropico, and can be advanced from traditional pirates in the Colonial Era to modern-day spies. They earn their own form of currency called Raid Points, which can be spent to send them on missions to loot resources, hunt for treasure, or capture castaways to bring home. They can also be ordered to scout out and steal famous world monuments such as the Taj Mahal and the Roman Colosseum, which can then be proudly displayed on your own archipelago. The integration of “fully simulated Tropicans” garnered attention when it was announced by Limbic Entertainment back in April, and the prospect of a more realistic population seemed exciting. In theory, each citizen would have their own opinions, goals and ideas of what makes them happy, but the only way in which I really noticed this was in their individual relationships between home and the workplace. In Tropico 5, it didn’t matter much where a person worked in relation to where they lived. The work would get done based on numbers alone: if a building was fully staffed and the budget was high, production would chug along at a predictable rate. Now, you have to be deliberate about where you place housing, even if it cramps your aesthetic vision. I noticed that people would not occupy housing if it did not have the right amount of workplaces nearby and would choose to set up shacks around town instead. I didn’t mind the challenge of mapping spatial distances between citizens, their workplaces and other businesses that fulfilled their needs, but it meant that for the most part my islands had to operate with dozens of mini, self-sufficient nodes that affected the immediate area around them rather than the map as a whole because the AI constantly seemed to get in its own way. While the piracy and archipelago systems are nice additions, Tropico 6 feels a bit too close to Tropico 5 for my liking. Everything from the design of the buildings to the missions and rewards felt unchanged, and the illusion of customization is imbalanced at best. Character customization seemed to be a scarce afterthought — for example, there were only four ethnicities to choose from – Latino, Asian, Caucasian and Afro-Caribbean – and each had fixed, non-customizable skin colors. I found it oversimplified and just plain odd that there were more hats to choose from than skin colors, and this pattern of imbalance carried through the entire Beta. The palace was customizable, but there was only a meager amount of decorations to choose from. 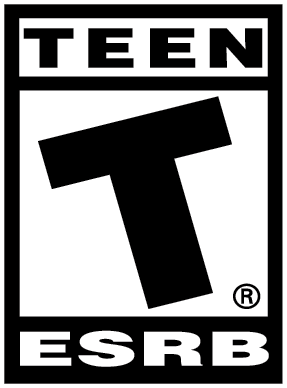 There were more park sizes available than in previous games, but far less aesthetic variations to cycle through. It’s still unclear whether more customization options will be released with the full game. One thing I did find to be an improvement was the impact of decision making in respect to production modes and upgrades. Every building from ranches to teamster’s offices have new, adjustable production modes that can be set to operate faster, slower or more responsibly. I felt like I had the power to really tweak my economy and make sacrifices to get my country operating exactly the way I wanted — for example, I always opted to increase the efficiency of my construction workers at the risk of them having a 10 percent chance of dying at work. Hey, I never claimed to be a nice dictator. I genuinely enjoyed my playthrough of the Tropico 6 Beta, and there seems to be a lot of room for improvement before the full release. Random crashes and bugs such as a male voice coming from a female Presidente will hopefully be patched, and I hope for the unlikely haul of new customization elements. The maps are beautiful and the key Tropico elements are there, but unfortunately the jump from 5 to 6 is nowhere near revolutionary. If you have never played the series before but are interested in a rich, deeply satisfying city-building experience, I would highly recommend Tropico 6. If you love Tropico but were not a fan of 5, you may want to hang back and wait for a price drop.